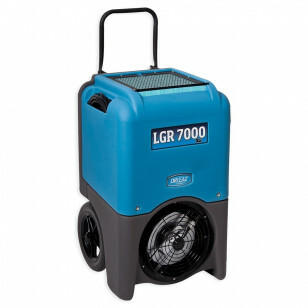 If you're in need of removing a large amount of moisture from the air in a short period of time, then the LGR 7000 XLi Dehumidifier is the right unit for you! It's maximum water removal rate is a whopping 29.3 gallon per day. No other commercial demudifier can hold a candle to it. For serious drying capacity this is the machine for the job. To achieve this amazing moisture removing capacity, Dri-Eaz integrated their Advanced Crossflow Technology into the unit. This allows the 7000 XLi to pull an incredible amount of water from the air as it passes through the machine. Add to that a real time monitoring of performance that automatically calculates the ideal settings at any given time - like cycle duration and fan speed, and you can easily see that this dehumidifier outperforms and other unit in its class. The result is XL category-busting performance in a unit that matches the size of an Evolution and weighing only 107 pounds! With its outstanding performance at AHAM and saturation, plus 40% better low-grain performance than competitive commercial dehumidifiers, the 7000XLi is truly the top performer. Built-in humidistat and plain-English control panel messages. 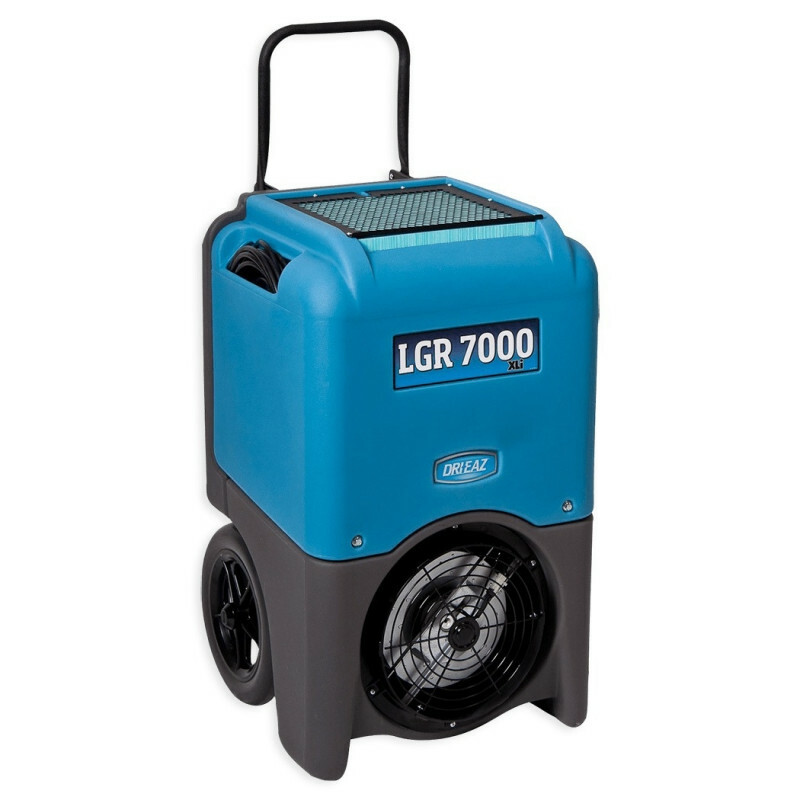 This is a review for the Dri-Eaz® LGR 7000 XLi Commercial Dehumidifier - 29 gals/day Max Removal.